-- Select a Size/Color -- 2 pk. Stir your cat's natural instincts with the KONG® Naturals Straw Ball Cat Toy. 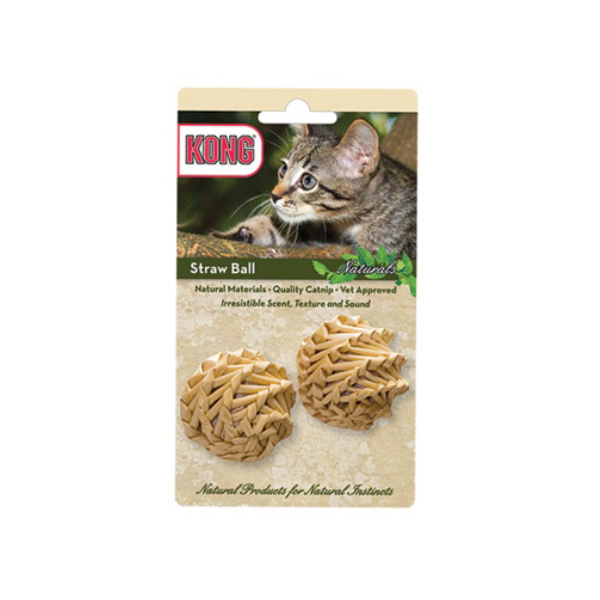 Your playful kitten will love the KONG® Naturals Straw Ball Cat Toy! Kong Naturals prides itself on producing natural products for natural instincts. KONG® Naturals are ecologically responsible, using only materials and dyes from natural, renewable resources. KONG Natural toys are designed to stimulate your cat's natural hunting and stalking instincts. All toys contain natural North American catnip, encouraging even more exercise and fun!